My apologies for this being a random picture of something which is not Japanese, but this was a curiosity that I had to ponder and ask my readers about. The sign on this, if you can't see it, says "NS Indian Bob Snack". I don't know if this is supposed to be a Native American whose name is "Bob" (which would be a somewhat unusual name in such a case) or if "Bob" means something in Korean which I do not know about. I'm also not sure what being "Indian" (or more properly since the headdress makes it clear, Native American) has to do with this salted snack product. They are, apparently, made from corn so that may be the missing link. The manufacturer's web site for this offers not insights other than this is a snack with somewhat politically incorrect overtones that is good for the whole family. Thank you! That is very helpful. It seems it's one of those translation issues. Hatai is a company whose products I've seen often here. Is the company not so prominent in Korea, but more common for imports to the U.S. (and Japan as they make a yokan bar which has Korean on one side and Japanese on the other)? Hatai I'm not sure about, but the bag has a Nongshim swoosh on it? Nongshim is definitely one of the biggest snack companies in Korea, which adds to my being confounded about never seeing it before. Could be Hatai is an import partner? Yes, this is my utter confusion. It was Nongshim in this picture, not Haitai! Haitai made the candy bar that I reviewed last Friday and I got mixed up! "인디안밥"... "인디안" means native americans (in Korea we call it Indians) and "밥" means rice or meal. So it would translate to "Native american's meal". 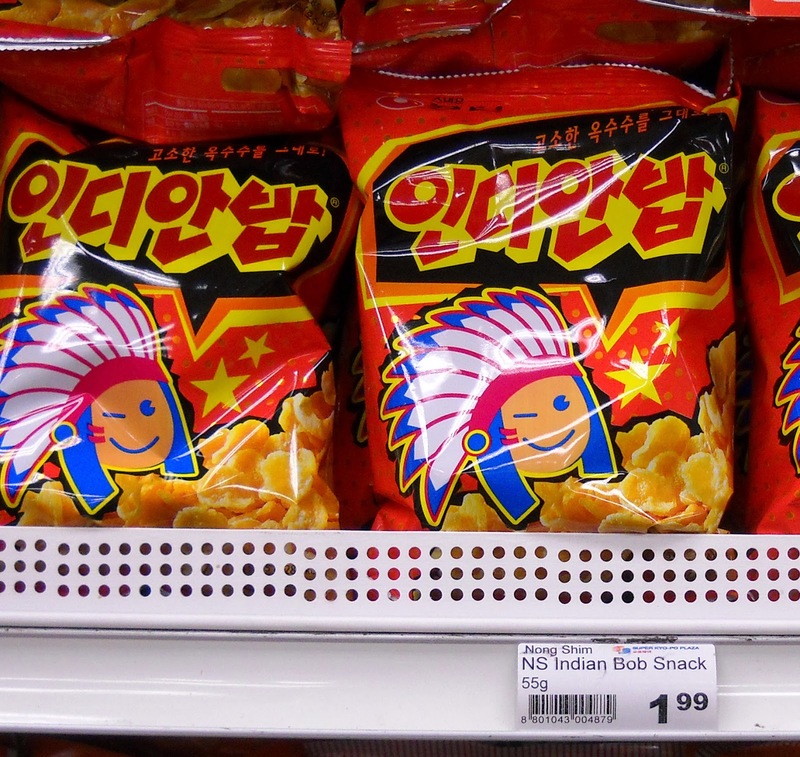 This is very very classic Korean snack... famous in 70's and 80's. According to this, Nongshim released it at 1976. And it's called 인디안밥 because it's made by corn.